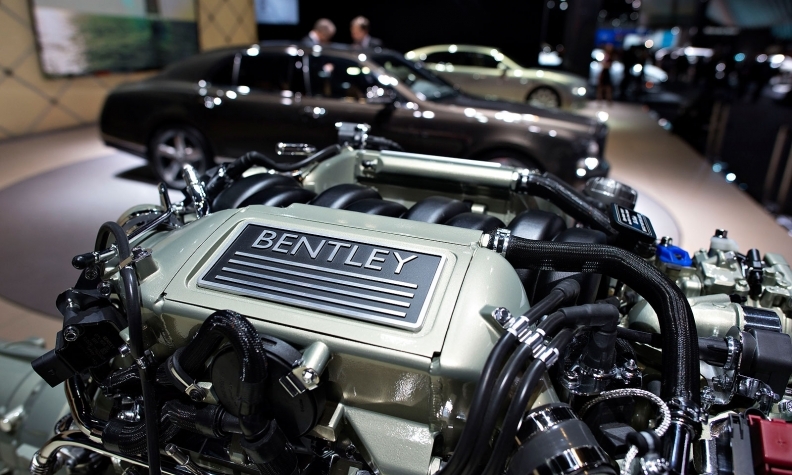 Bentley is skipping the Detroit auto show in January and all other U.S. shows next year. The ultraluxury brand wants to concentrate more closely on relationships with its 45 U.S. dealers, Bentley spokesman Jeff Kuhlman said. The Volkswagen AG-owned brand also did not attend the Los Angeles Auto Show in November. Through November, Bentley’s U.S. sales have slipped 19 percent this year to 2,105 vehicles. The decision to skip major auto shows comes as Bentley prepares to launch the brand’s first crossover, the Bentayga, into one of the industry’s hottest segments. The Bentayga is set to launch in early 2016. Tesla, Mini and Jaguar Land Rover also are skipping the 2016 Detroit auto show. The exhibition space left behind by the brands was quickly swept up by others, Detroit auto show spokesman Max Muncey told Automotive News. Those brands include Aston Martin, which will make its first appearance at the Detroit show since 2009.